Many businesses in the food industry fail to consider the impact their food packaging can have on the environment. It might never have crossed your mind, but that styrofoam box your customer has can end up in the ocean forever. Non-degradable and non-recyclable food packaging made of plastic or styrofoam is a real concern for the planet, as it tends to pile up polluting our oceans, forests, and parks. So, what can you as a business owner do? The obvious answer is to switch to more sustainable, eco-friendly disposables such as cardboard trays, paper coffee cups or wooden cutlery. This simple course of action can have significant benefits for the environment as well as your business. Like for instance. Obviously, opting for green food packaging can significantly help the environment. But, how exactly? 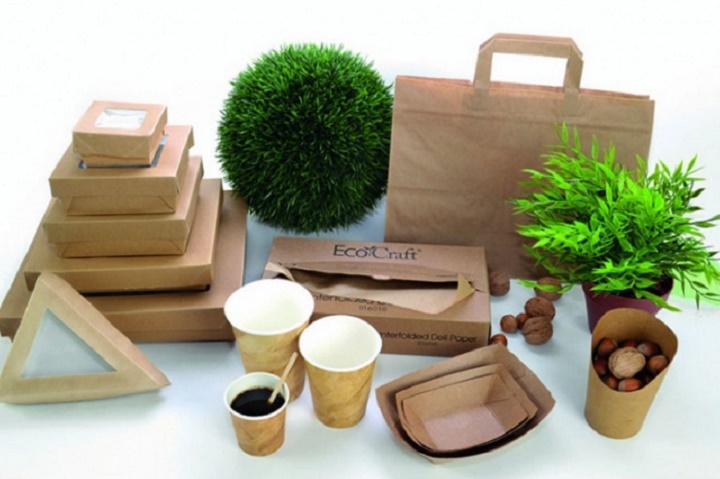 For one, eco-friendly food packaging is made from 100% biodegradable materials. This means it contains no toxins that can “leak” into the environment during decomposition. What’s more, eco-friendly packaging decomposes completely and in a timely manner. And since it’s made of organic materials, it’s also compostable which means that during its decomposition it transforms into organic nutrients that enhance soil and support plant life. Obviously, concern for the environment has increased now that we’ve started to face the serious consequences of global warming. In recent years, more and more people are growing environmentally conscious and taking an interest in the ways they can reduce their carbon footprint. Millennials are especially concerned with this and tend to form particularly strong connections with brands that have sustainable practices. And you as a food production business can use this to your advantage and expand your customer base. Simply by using eco-friendly, recyclable cardboard trays or boxes you can start attracting more people who value this commitment to sustainability. And because businesses who do so are rare, these new customers will be more likely to stay loyal to your services. Many plastic food containers are aesthetically pleasing, but to achieve that effect they are usually enhanced with artificial paint, BPA, phtalates and chlorine. All these chemicals can leak into the food given the right conditions, such as humidity or high temperatures. But biodegradable packaging on the other hand, comes free of chemicals which reduces the amount of toxins the food is exposed to. What’s more, eco-friendly containers made of cardboard are usually safe to microwave, as opposed to styrofoam or plastic containers.